A recent survey benchmarked end-user confidence in Dubai's legal mechanism, identifying glitches and loopholes. Stakeholders in the Dubai real estate market are often inundated with projections and trends that add to investor concerns, but it is rare to come across an insight into what investors and end-users perceive as a possible solution to the market impasse. Lending a voice to the beleaguered investor fraternity, law firm Hadef & Partners recently published a report on the legal shortcomings of the Dubai property market, based on a survey of industry stakeholders. "The respondents were a mixture of both demand and supply side participants, and included property developers and purchasers, banks, contractors, real estate professionals and others. The majority of the respondents reside in Dubai, some in Abu Dhabi, and several were from other emirates or outside the UAE entirely," explains Brent Baldwin, associate, Hadef and Partners, adding that the survey was conducted in September and October 2010. While the pre-eminent need identified by investors was to ensure greater enforcement of the existing legal framework, other responses include relaxing the current stringent visa norms for property investors, enhanced transparency on cancelled projects and a cheaper, faster dispute resolution mechanism. While most survey respondents claim that supply side participants (developers, consultants, etc) are accorded priority under current real estate regulations, these results could, however, be slightly skewed as approximately 44 per cent of those surveyed classify themselves as "investors" or "buyers". Instead of creating stimuli in Dubai's demand constrained market, the respondents cite examples where authorities are encouraging developers to continue with financially unviable projects, adding to the much-laden supply pipeline. For instance, certain master developers are forcing sub-developers to proceed with projects in order to avoid losing their investment in the land acquisition. This pressure is likely to swamp more supply into an already saturated market. "Improved finance options and more long-term visa options are examples of suggestions that many people consider will stimulate the real estate market. In terms of improved finance options, one suggestion is that encouraging financial institutions to invest in small and medium-sized businesses will stimulate the real estate market by increasing the number of jobs in Dubai, with the result that more people will want to live and work here. In addition, more visa options that are not just based on real estate ownership may also help stimulate the economy. If, for example, those who have a particular talent or who want to invest in businesses here were offered more flexible visa options, this could also ultimately stimulate the real estate market by helping the revival of the general economy," suggests Baldwin. Despite acknowledging that several banks were holding assets with negative equity, 75 per cent of respondents believe that financial institutions are not adequately supporting the Dubai real estate market. However, the overarching desire among respondents was the need to remove criminal liability for cheques issued in good faith between private parties. In the event of a mortgage default, the bank or developer should foreclose on the property and the buyer should forfeit his non-refundable downpayment, the respondents suggest. "A lot of investors here entered the real estate market without a full understanding of the local laws and many assumed that bounced cheques would be a civil issue to be dealt with between the parties involved rather than something that would attract a prison term. 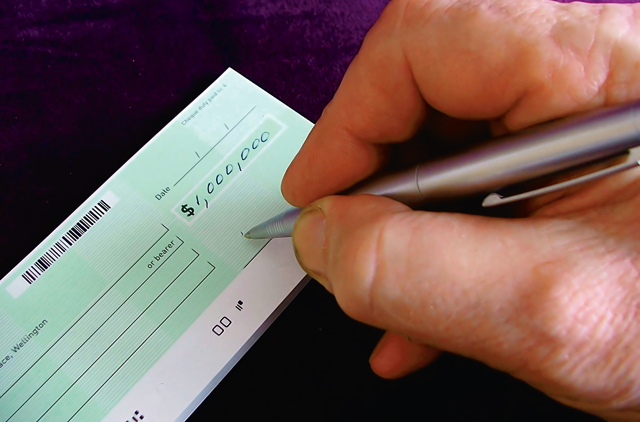 The sheer number and publicity related to people sentenced to jail terms, as a result of bounced cheques means this is much more widely known now than it was before and people are much more wary about issuing cheques in the knowledge they could go to prison if the cheque bounces," says the legal executive. The sheer number of unresolved property disputes in the Dubai market lends credence to the lack of investor confidence in the emirate's dispute resolution mechanism. The prohibitive costs of litigation and backlog have rendered 56 per cent of survey respondents to lose faith in the Dubai Courts' efficiency in dispute resolution. Another common theme relates to the desire to have disputes addressed in English as well as Arabic where appropriate, due to the expense, delay and accuracy risks involved in having English documents translated. While many responses reflect the need for a fast-track small claims court, others believe the introduction of Rera (Real Estate Regulatory Agency) committees with enforcement powers might also assist. "There are plenty of investors pursuing legal action against developers, but we observe that such cases generally involve situations where investors have spent a substantial amount of money and/or there are multiple investments involved, which are worth the time and cost of going to court. There is a need for a cheaper and faster dispute resolution process in Dubai and this could be run independently by Rera under the oversight of the Courts ie it could govern property and commercial disputes generally and take the form of a small claims tribunal. Rera would, however, maintain a general oversight of the real estate market in terms of assessing the viability of projects, monitoring the Escrow Law and its other functions," says Baldwin. Non-transparency on project cancellation is another grouse the survey respondents put forth. Alluding to the sketchy details currently provided on project status, which, in turn, result in skewed supply numbers, approximately 87 per cent of respondents feel that public announcements of project cancellation would assist the market. The legal report also recommends an alternative to project cancellation and developer liquidation — the forced consolidation of projects that individually have little chance of going ahead but might collectively stand a reasonable possibility of viable delivery, even if many years late. "We are not currently aware of any proposals by Rera for the consolidation of projects. In recent weeks, however, Rera claims to have cancelled a number of projects and it will be interesting to see how this plays out in terms of satisfying the concerns of investors in those developments, and whether the relevant developers are in a position to refund all or part of the amounts paid by investors," Baldwin points out. Furthermore, survey respondents claim that the transient six-month renewable visa linked to buying property in the UAE does not correlate with the long-term nature of real estate investment. They suggest that offering more flexible visa options will perpetrate foreign direct investment and attract people looking to establish long-term roots in Dubai. "Our suggestion is that visa restrictions could be based not only on ownership of property but other factors such as having specialist skills which may benefit the country or the ability to create investment by setting up special businesses. Removing the value cap from real estate visas might attract more people, but they might not be the type of people that will benefit the economy. On the other hand, if such a visa was combined with a need to meet certain other specialist criteria, this could be a good move," he adds. While the majority of survey respondents feel the current suite of laws is adequate to address the present market dynamics, they are demanding more prescriptive and clear regulations to specify the boundaries of the law that cannot be crossed, and the consequences of breach. The Escrow Law is deemed to be the most useful law, followed by the Landlord and Tenant Law and the Jointly Owned Property Law, Mortgage Law and Pre-Registration Law. Only 39 per cent of respondents felt that Law No.9 and Decree No.6 (dealing with real estate disputes) had been useful. "Some people may, for example, believe there is a need for more enforcement of the Escrow Law, but that there needs to be additional laws to give additional protection to real estate investors," Baldwin concludes.